If you’re like a majority of U.S. motorists, you’ve experienced very challenging road conditions lately. A study from TRIP, a national transportation research group, shows that 3% of major U.S. roads are in poor condition. Driving on these roads costs motorists an average of $377 in extra vehicle repairs. Knowing this, you want to make sure your vehicle’s tires are in optimum condition to handle the roads. 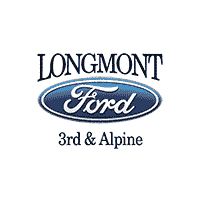 The experts at Longmont Ford are here to help. If you are in the market for a new set of tires, turn to our expert Ford Service Technicians. They have the latest equipment to make sure your tires are installed correctly and are well maintained. Choose from 13 name-brand tires and get the assurance of our Low Price Tire Guarantee†. Why buy tires anywhere else, when Longmont Ford has all of this? †Valid on dealer-installed retail purchases only. Requires presentation of competitor’s current price ad/offer on exact tire sold by dealership within 30 days after purchase. See participating dealership for details.